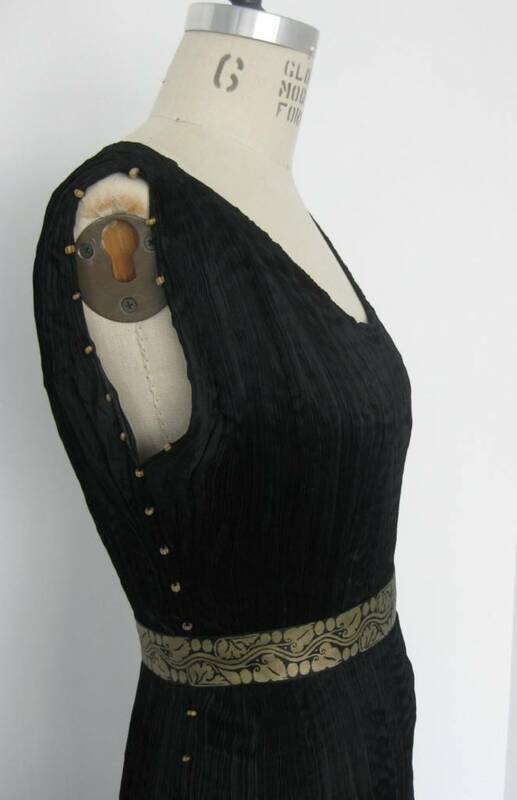 Vintage Fortuny Delphos Gown is made of finely pleated black silk with black silk cording along the side seams and caramel color burgundy striped Murano glass beads threaded through the cording. The neckline shape is controlled by a drawstring. 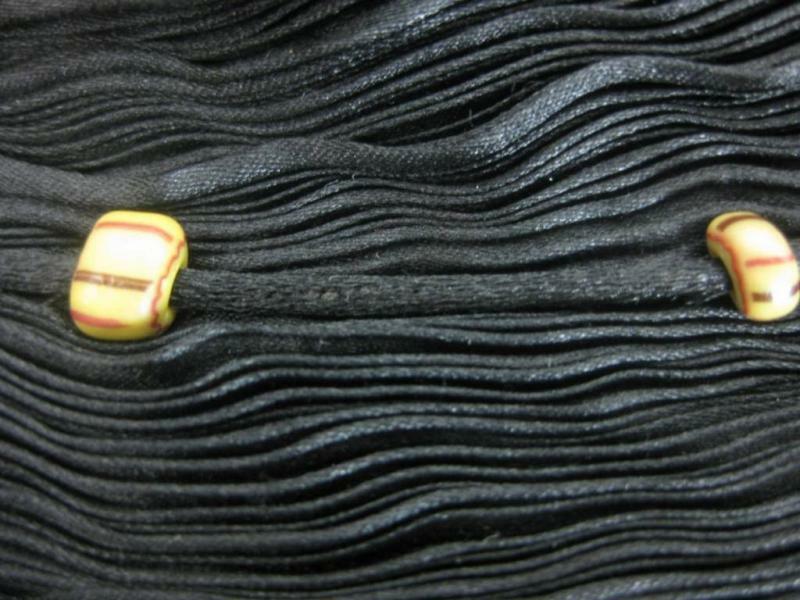 The black silk belt is hand painted with a gold curvilinear leaf motif. The pleats in the fabric allow the gown to fit a range of sizes. Named after a Greek sculpture, the Delphos gown is a simple silk column of vertically set pleats. 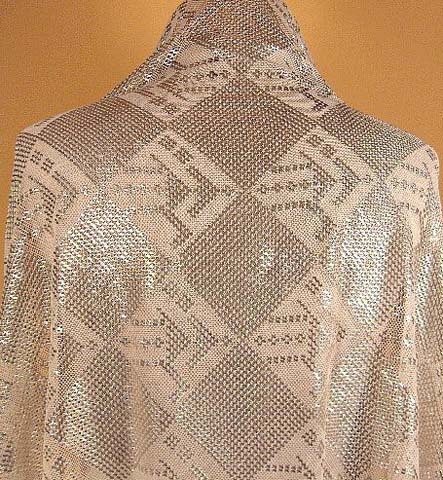 20s Art Deco Egyptian Revival Assuit Shawl. Egyptian camel rider geometric design of silver coloured metal on tan/cream woven fabric.